To start off, I just want to say that if I could, I’d move to Montreal. Between the fun running paths available and all the delicious food that I can eat, I fell in love. Sadly, I only had 4 full days in Montreal so let’s see how I spent them. Note that 1. Jen and I are not exactly night owls so if you’re a pub crawl kinda gal, yes there is a great nightlife scene here but we did not experience it ourselves and 2. it rained for 3 of the 4 days so after crying for a bit we had to do our itinerary pretty last minute/go with the flow and disregard what we had planned on Travefy! 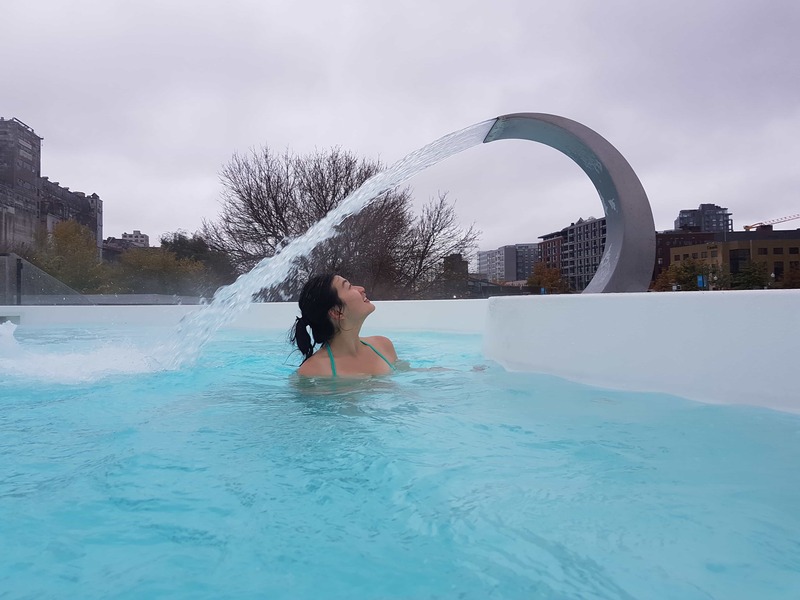 So here’s how we spent 4 days in Montreal when 3 of those weren’t sunny. 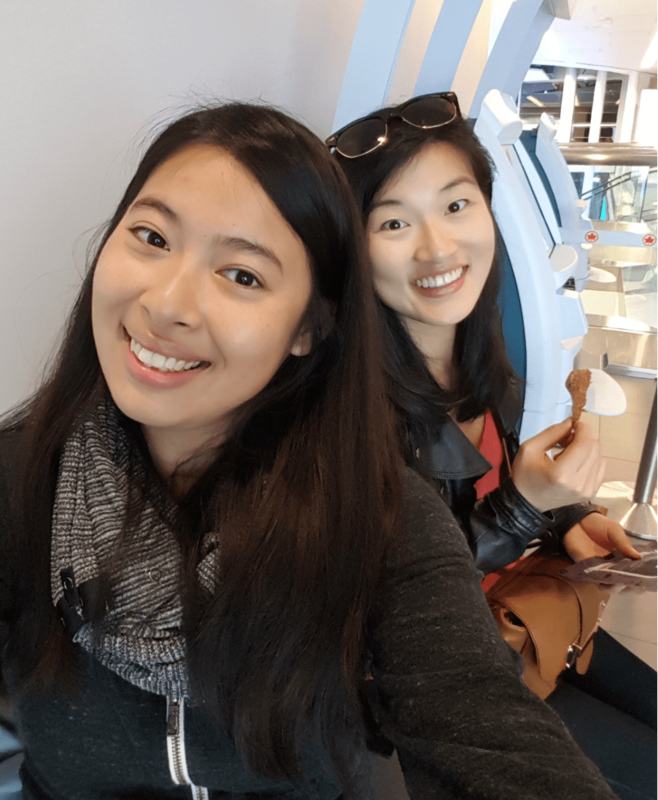 We surprisingly found that 4 days in Montreal to be enough for the two of us. And I’m off! See you soon @Montreal! Our first lesson of the day was that Billy Bishop airport does not open until 5AM. We had arrived right before 5 for our 6:45 flight and ended up sitting in the car for a while, thinking about the sleep that we could have had. Luckily, we did not have to wait long and nothing was delayed leaving so we were on the flight and were ready for take off at 6:45 on the dot. The plane ride from Toronto to Montreal is just under 2 hours so we just numbly stared ahead of us in our seats as we were both exhausted from barely sleeping the night before. Luckily Porter had coffee for Jen (water for me) so at least one of us were a bit more alert than the other. Our AirBnB was super cute and cozy. 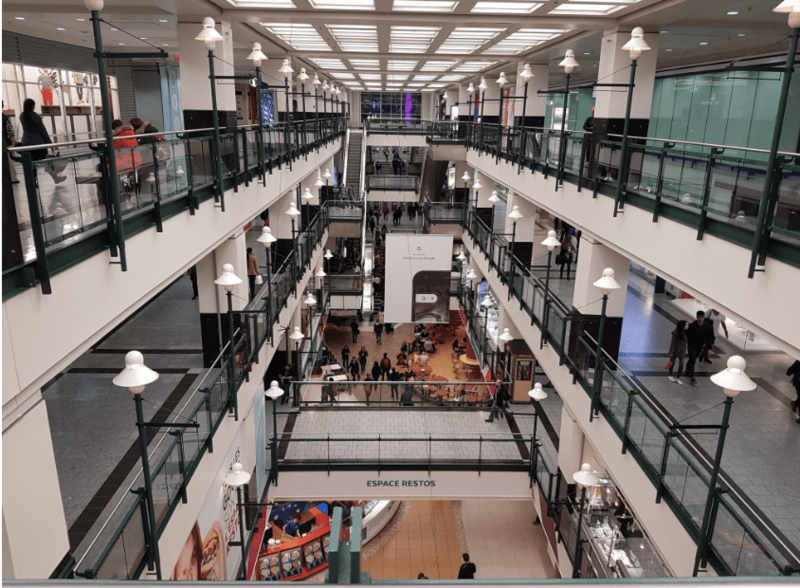 It was literally a 3 minute walk from the subway station and within walking distance of a bunch of stores and restaurants (more on this later, we totally had a fail moment learning experience). Anyways, first things first, we were worried about losing sunlight and being stuck in the rain the next few days so we tried to get all the outdoor stuff out of the way first. However, we were hungry so after a quick search, we found out that one of our stops, the Canal, was right by Atwater Market. So we made our way back to Lionel-Groulx and walked over to the market. If you had read my previous post about why you must visit the markets in Montreal, you’ll know that we were in awe of all the food options! After practically drooling, we made our delicious decision and picked out some pastries to eat (as it was apparently too early for cake). We then made our way along the Canal before heading over to Mount Royal. When we got to Mount Royal, it was a little past 2 and it was filled with people! From tourists, to families, to kids on a field trip. It was quite a sight as a lot of the tourists seemed to be obsessed with the chubby squirrels that actually went up to these tourists to be fed (and fed they were! They also only wanted the best of the best, I saw a squirrel reject a piece of carrot because it didn’t look up to par haha). There were a ton of side trails off the main path to explore along and be warned, it is quite hilly so comfortable shoes are recommended. At this point we were pretty tired and hungry. Like I mentioned earlier, our AirBnB was close to the subway stop so we decided to go home before deciding on what to eat. Due to our changing of plans, our original dining option was too far from where we were (or so we thought) so we asked Siri to tell us what there was to eat nearby. Little did we know, Brit and Chips, where we had wanted to eat, had a location right down the street from the subway stop so we happily made our way there. As I’m typing this, I am dying for some fish and chips because it was so delicious, I regret not going back before we left. Jen got the original cod and I picked the sour cream and onion flavour. It was so crispy and perfectly done on the inside, I really could not have asked for more from a fish and chip place! We inhaled it in like 15 seconds. It was that good (and we were that hungry). We started the day at 9:30 (well really 8 but we sat around drinking tea and somehow devouring an entire loaf of bread we picked up on our way home the night before) with a tour around Montreal with our tour guide Thom. We loved Thom. He brought us to where the most delicious donuts ever were, Leche Desserts. I got the lemon meringue and Jen got the cheese cake. Both were stuffed. It seemed like such a hole in the wall spot but it definitely impressed us. 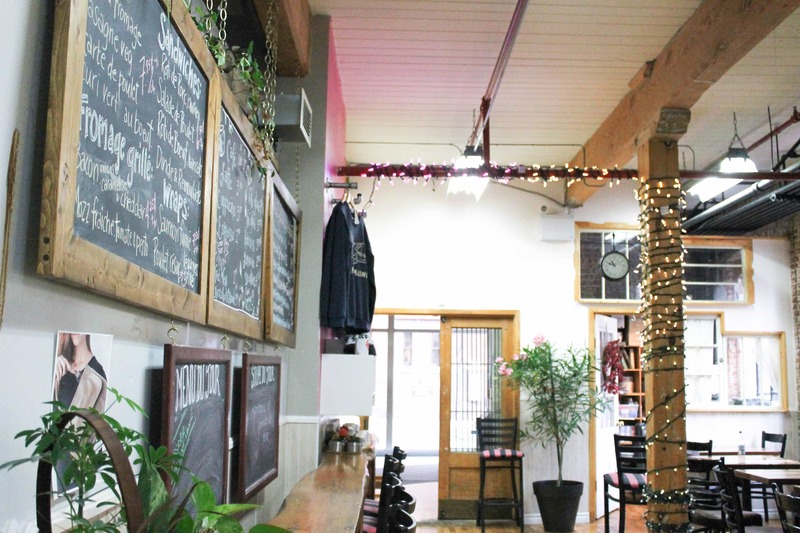 After our tour, we head over to Old Montreal and grabbed some lunch at Café Santé Veritas. 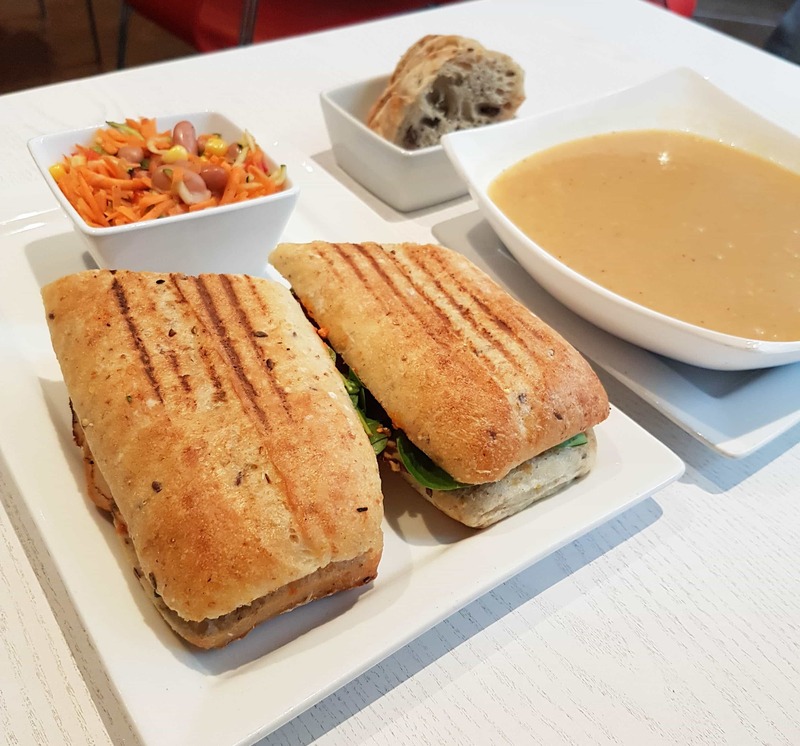 The cafe “are balanced with proportions of complex carbohydrates, proteins, and “good” fats in tandem with several essential vitamins and minerals” which meant we could literally pick anything and it’d be healthy! I opted for a chickpea soup and Jen got a pesto sandwich. After lunch, we wandered around Rue Saint Paul and checked out the stores, got gelato, and took photos of everything. Luckily, the rain was light so we weren’t drenched while wandering around. Of course we got lost for a bit so we decided to search for a subway stop (we got detoured by a road closure) and decide to head back to the market and buy some dinner before going to the Botanical Gardens/Garden of Lights. Thank goodness I packed my Canada Goose though since the weather all day was going back and forth between rain, misting of rain, and no rain! You don’t know how happy I was that it wasn’t pouring rain as we spend a while at the Garden of Lights enjoying the beautiful displays. 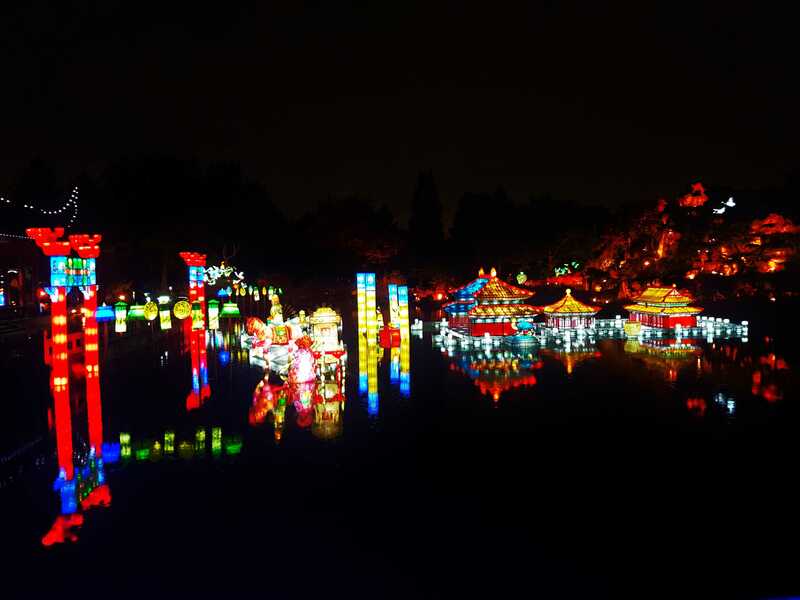 The illuminated lanterns recount the life of the Son of Heaven, the Chinese Emperor in the Forbidden City. 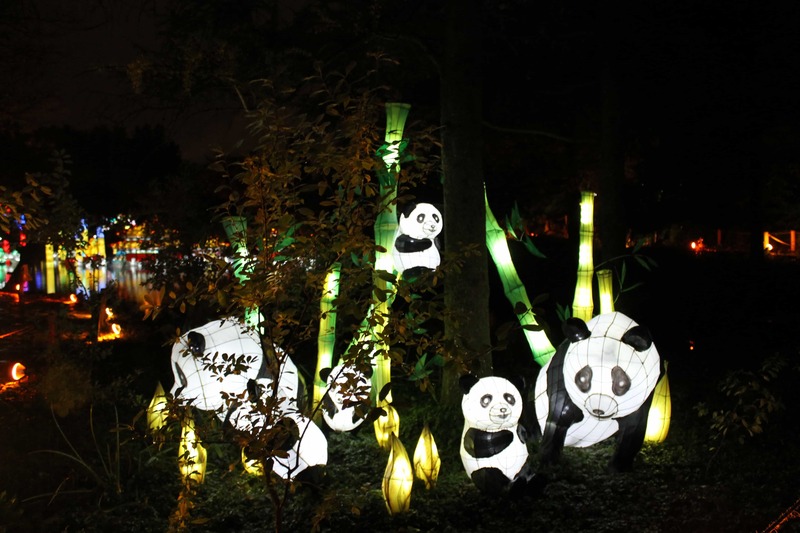 However, I think my favourite lanterns were the pandas! We may or may not have decided to brave the (light) rain because we were told that there would be a panda display haha. Our final meal of the day was pretty lazy – we decided to spend it at home and ordering from Just Eats (Korean Fried Chicken) while watching Netflix. Yes we Netflixed in Montreal but like I mentioned earlier, we are definitely not the nightlife types so as it was after 9PM, we were ready to get into our pyjamas. We live an exciting life, we know. We started off the day by eating our market loot – we had cheese, salami, and bread before heading out to Bota Bota for a mini spa day. Fun fact – the spa does not have a real physical address as it in on a boat. We opted for the water circuit where we got to experience the hot tubs, saunas, cold baths, and more! Needless to say, we totally zoned out and relaxed all morning. We stayed for around 2 hours before heading out of a meal everyone should have while visiting Montreal. We went for poutine. We picked La Belle Province based on its price and its reviews. I ordered the original whereas Jen ordered the original with bacon (I regret not ordering bacon immediately. Never. Say. No. To. Bacon. Lesson learned). After that, I decided that stationery was needed (I may or may not hoard collect cute items) and we ended up at papeterie nota bene which had a pretty nifty selection of product but the person who I’m guessing to be the owner wasn’t exactly the friendliest. Being the stationery addict I am, I ended up leaving with a cute little notebook as my first souvenir item. 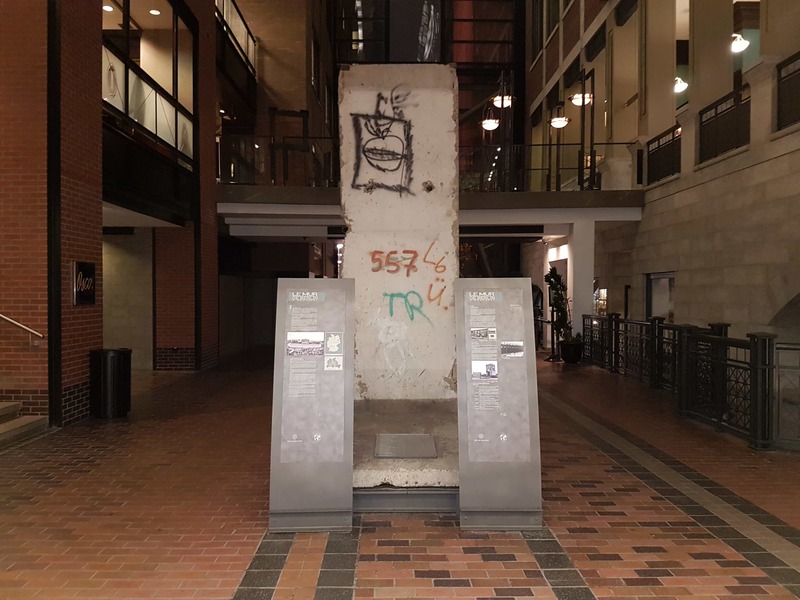 After that I was determined to tackle the Underground City again because I wanted to see the piece of the Berlin Wall. And FYI, If you ask anyone how to get to the Underground City and everyone (and google) is giving you a different answer, it means that there are multiple entrances and whoever that’s telling you that you have 6 stops away is potentially wrong. Just an FYI. There was a lot of walking, circling, back tracking, until we decided to just ENTER a building not fully lit and lo and behold, WE FOUND IT. Note that by the time we made it (combined with the rain) it was super dark. We were exhausted from a full day of walking (and getting lost trying to figure out how the Underground City worked – my solution was to just walk straight and we’ll get there. Jen’s was we should turn. 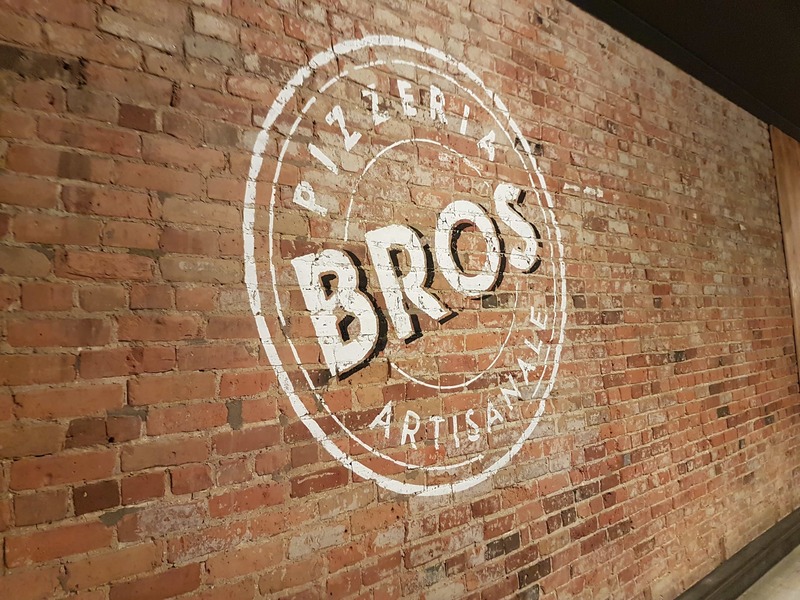 So we made a pretty good team) sooooooo we asked Siri what to eat again and we were suggested a cute little pizza joint called Bros nearby! 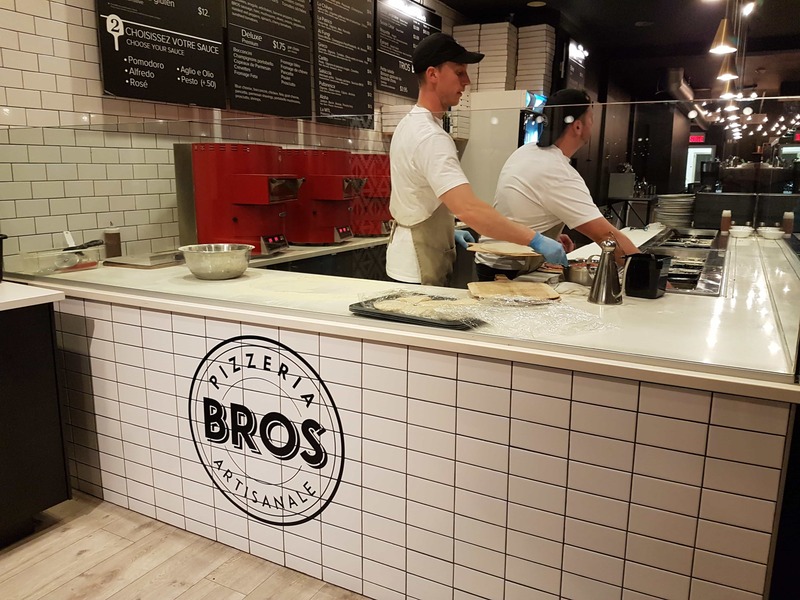 And CLEARLY the two of us had not had enough cheese in Montreal, we ordered a 4 cheese pizza with a pesto base to tide us over before we headed back to our home base and ate…you guessed it, more cheese. Do not judge our day 4. It really was a miracle that we made it this long WITHOUT A NAP. Yup, we spent part of us last day in Montreal napping. But lets backtrack a bit. We started off the morning on the hunt for Montreal’s famous bagels. We picked St Viater over Fairmount. Back story: Way back when, Fairmount had decided to move and doing so, part of the staff left and split into St Viater. Some say the bagels are exactly the same and some say that they are different. From my understanding, the only difference is that St Viator uses an environmentally friendly wood that makes the bagel taste less smokey. 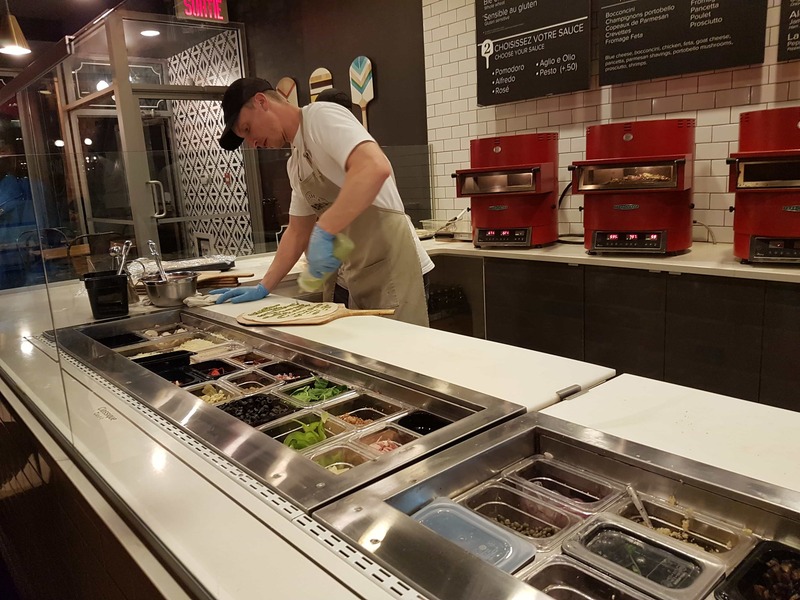 So what makes a Montreal bagel a Montreal bagel? 1. High egg content 2. Flash boil in honey water 3. Baked in a wood burning oven. If it doesn’t include these 3 things, it is not a Montreal style bagel. As a runner, I’ve had my fair share of bagels and let me tell you, we bought a dozen and it was worth it. It tastes fluffier and you can definitely taste how much sweeter it was than a regular bagel. Next we ventured down the block to check out Kem Coba but sadly it had closed earlier in the month for the winter months. I was so looking forward to it and was pretty disappointed. It had come highly recommended by multiple friends. So we wandered until we found Chez Vincenzo and I bought myself a panna cotta gelato to soothe my sadness (it was delicious). Still bummed from the let down that was Kem Coba closing (google did not update for seasonal hours), we made our way home to regroup what to do next. It was around lunch time by then and while walking home, we decided to get take out from this place around the corner. Now let me tell you about this place. It had had a line up out the door every time we walked by – even in the rain. And it had no sign. Being that I didn’t want to just randomly walk in and hoping it was delicious, I had held off going in for 4 days. I mean we didn’t even know what cuisine it was and it didn’t have a menu at the front!! Of course there was a line so we were pretty much like “well if it has had a line the last 4 days, it can’t be that bad” and walked in. Refusing to stand in the rain to wait for a table, we opted for take out which was when we finally found out what the name of the restaurant was via their menu. Ganadara. A Korean fusion restaurant. I got eh seafood todoki and fish katsu which promptly put me in a food coma. Waking up, it was around 5 and that’s when we learned apparently a bunch of places such as malls will close at 6PM on a weekend. Confused and not sure what to do next, I remembered walking by the Barbie Expo on day 1. I kind of love Barbies so I looked at Jen and said that admission was free and we need to go. Please enjoy my phone photos with the glass reflections down below. I got to live my childhood dream of being a Barbie! 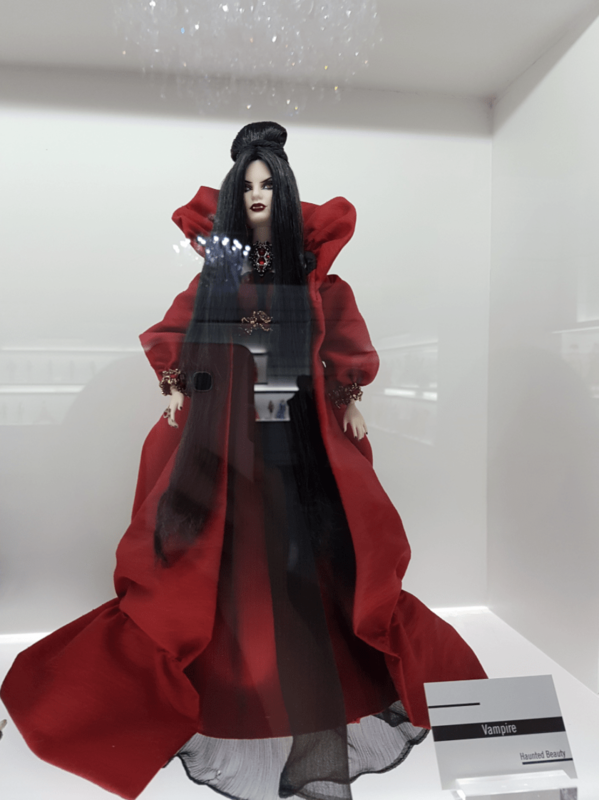 There were Barbies dressed by Calvin Klein, Christian Dior, Christian Louboutin, and Diane Von Furstenberg. 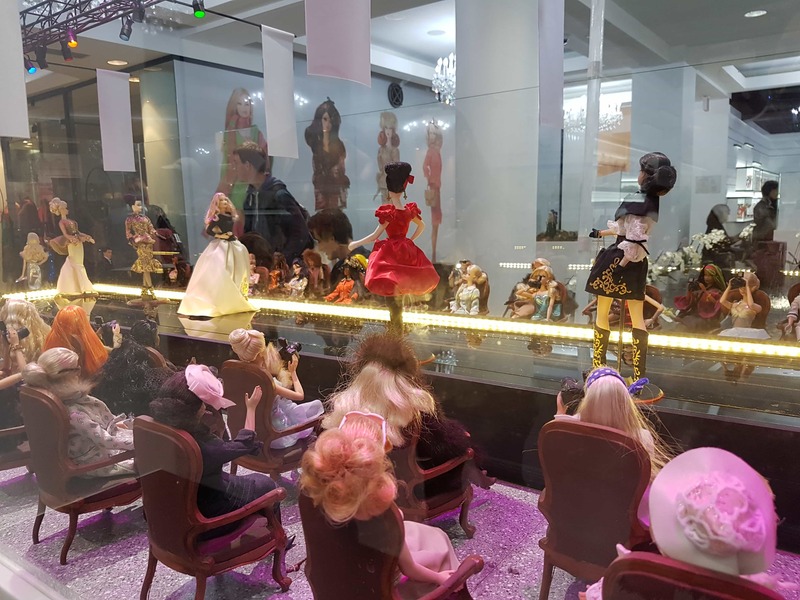 There were Twilight Barbies, a Legally Blonde Barbie, Barbies representing countries, different time periods, holidays, and more. It was definitely worth stopping by. They had a display (pictured above) with a moving runaway and camera flashes to simulate a real runaway. 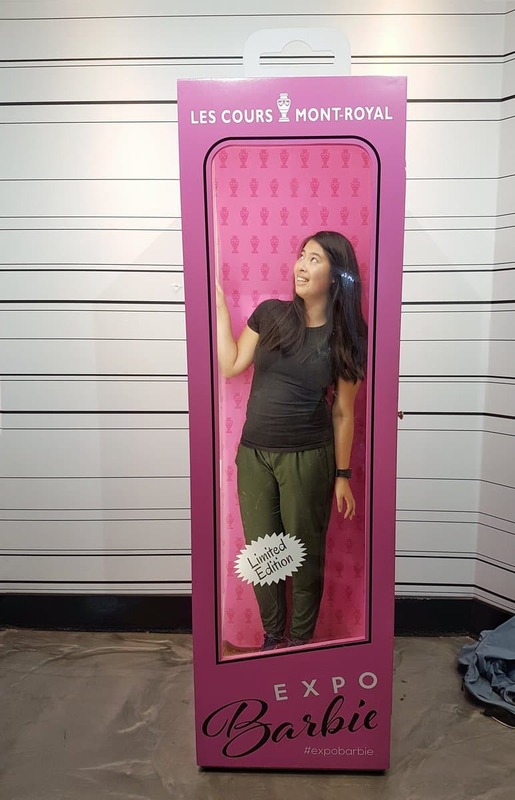 The Barbie Expo was connected to the Underground City so we decided to see if we could see more of it since we were at a different starting point than before. That’s when we found out that things closed at 6 and we ended up hanging out in Indigo where I bought myself a Ban.do agenda for 2017. Or Day 4 and a half. We packed our things and said our goodbyes to our AirBnB before going to the market one last time to get our fill of pastries before taking the bus back to the airport. Unfortunately our plane was delayed and we left later than expected. Technically, at that point, we could have had a 5th day in Montreal as it was actually sunny instead of raining! Just our luck! Oh well – you can’t control the weather. Montreal was quite a lovely place! Montreal is what is considered a walking city, you can really see a lot just by walking around or renting a bike to ride around in. There weren’t many places where we had a burning desire to visit that required us to have to had rent a car as most places were quite accessible by public transit (or just walking if it wasn’t raining). 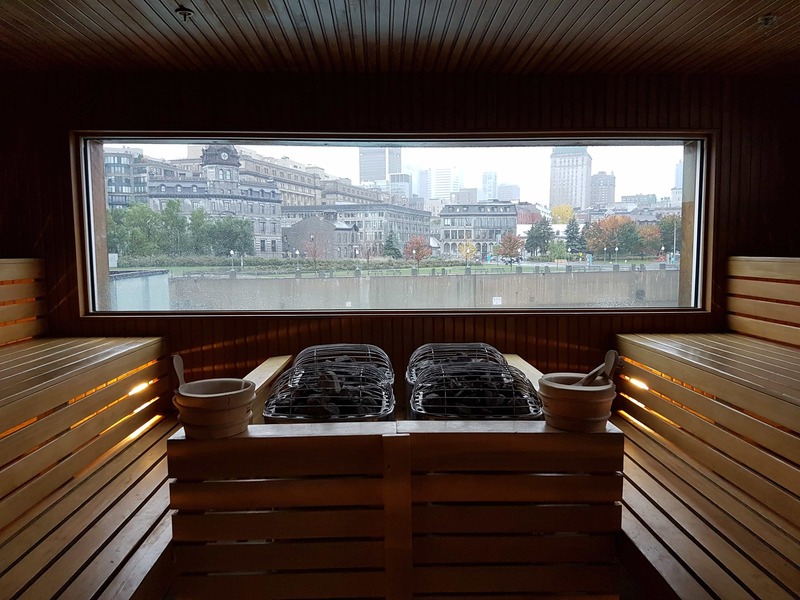 We had joked that it was why everyone looked so thin and fit – Montreal has such amazing bike baths and multi-purpose paths that it really helps to keep the community healthy and active. 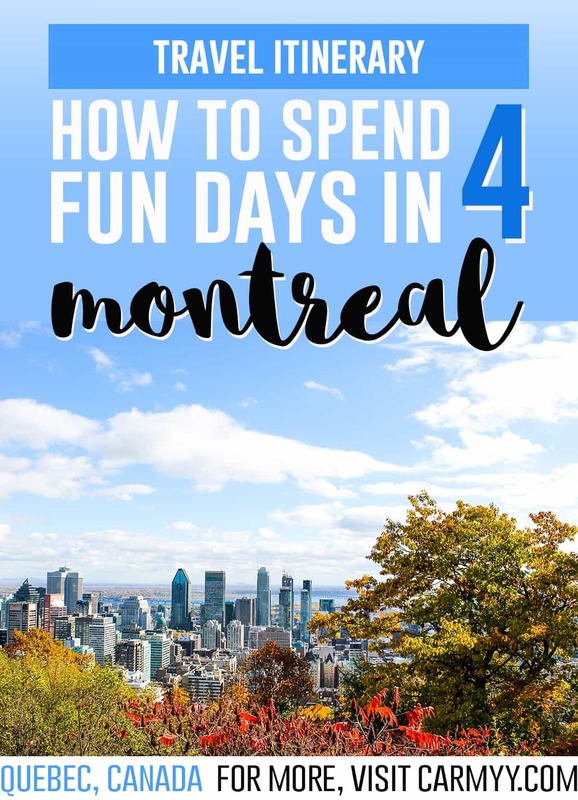 If you’re looking for fun then Montreal’s got it. Hopefully on my next trip, I get to spend more than 4 days in Montreal. 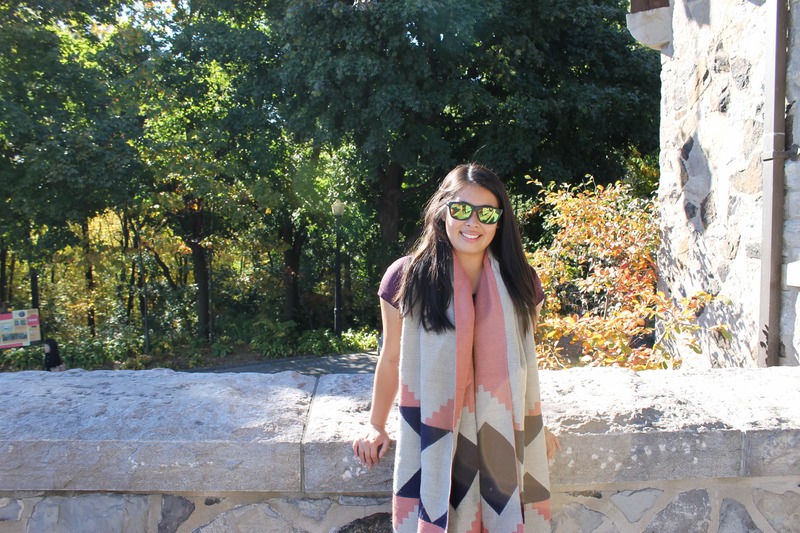 QOTD: Have you been to Montreal? Where are you planning to visit next? Disclosure: Some of the activities, I was an invited guest. In addition, Jen and my bus passes were covered. Thank you Tourisme Montreal! As usual, all opinions are my own and thank you for your constant support in making this blog possible. I had the same experience trying to find the Underground City, except I never was successful and gave up. 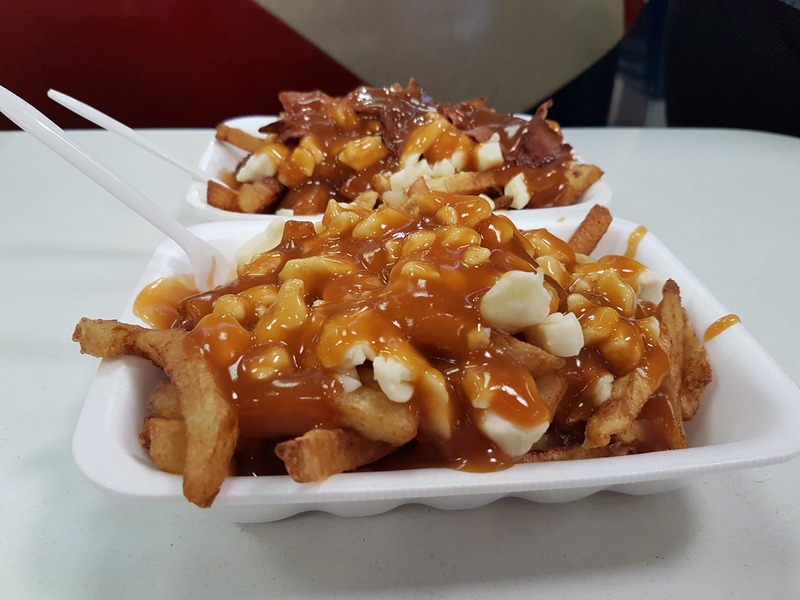 I ate at La Belle Province several times when I visited because, POUTINE! I actually JUST suggested to my fiance that we go to Montreal for our honeymoon! HA! No clue where we are going (he booked something as a surprise)… But MAYBE, MAYBE he listened!! YES! Come to Canada GiGi! I’ll take a day at Bota Bota followed by those fish and chips, please! What a fun trip you guy had. That swimming pool fountain faucet is cool! Sounds like you had a blast! I’ve only been to Montreal once but am really wanting to visit again at some point soon. When I was in high school I took four years of French. I’d be curious to see if I want to Montreal if the language would come back to me. I highly doubt it but I’d be curious none the less. If I ever find myself in Montreal I’ll make sure to refer back to this post for some great ideas. It’s good to see that you had such a great time. So this will pretty much be my food list for when I go in May. It’s a good thing I’m running a Ragnar before! 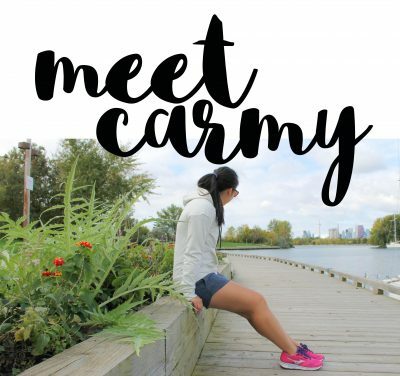 Hi there, Carmy! I really love cities that encourage people, locals and visitors alike, to walk. It seems like Montreal is the perfect city to walk around while exploring its food scene! Thanks for sharing this fun trip with us! 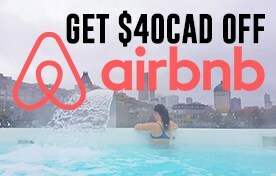 I’m planning to visit Montreal this December, so this was a helpful post. I’m sorry that the weather didn’t cooperate, but it looks like you had a great time anyway! 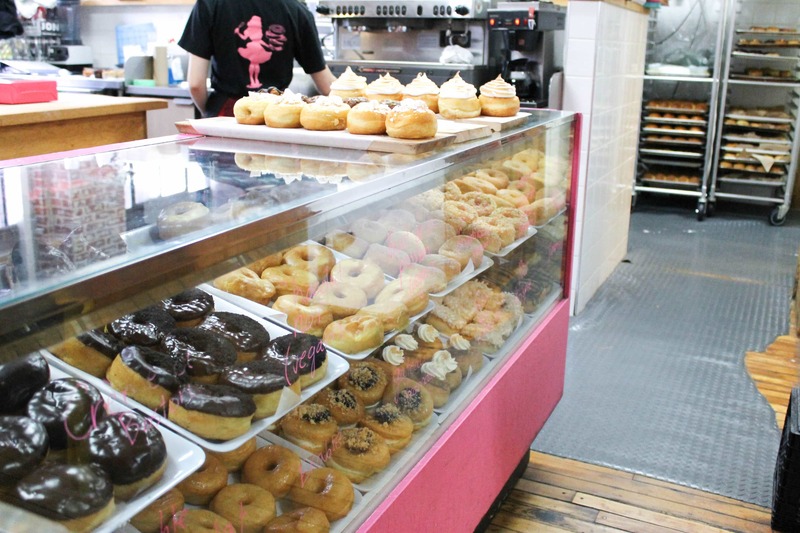 Adding that donut shop to my list of must-eats! You did so much in Montreal! The airbnb you stayed at looks so cute and cozy. And I had no idea that there was such a thing called the Montreal bagel. Flash boil in honey water sounds so interesting! OK tell me the truth… is poutine really that good? Because I look at it in pictures and I can’t say that it seems particularly appetising. I’m going to Vancouver in a couple of weeks though so I’m keen to try anything and everything food related. Hahaha as a Canadian, I LOOOOOVE poutine! Start with the classic and see how you feel about it. It doesn’t look the most beautiful but the mix of gravy and cheese is just delicious! OMG you had me at lemon meringue cheesecake donut! How is that even a single thing? I have to go to Montreal just to try that. 🙂 Sorry to hear you had so much rain, but it sounds like you certainly made the most of it. Thanks for the this Montreal Guide, this is so helpful! Haha Brit and Chips looks great bit their fish do’t look very British like 🙂 The cakes look incredible and I now want one. Great blog! 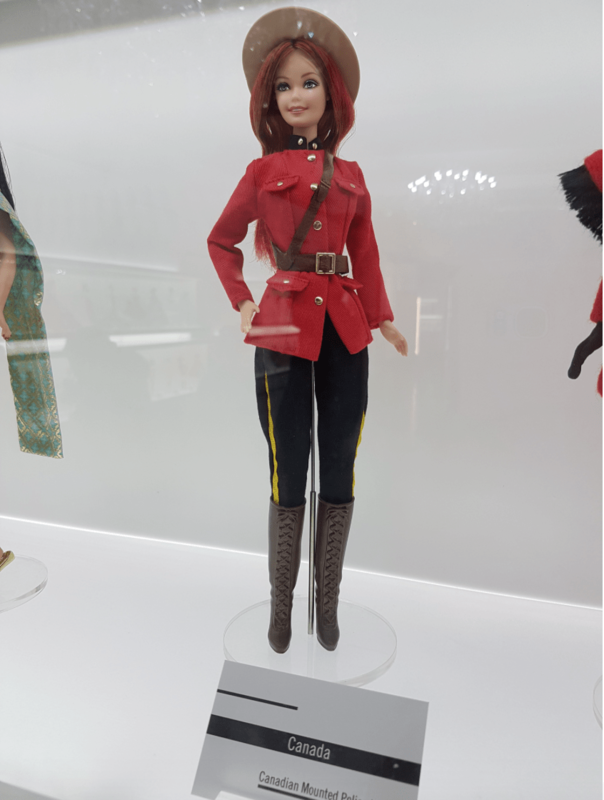 The barbie expo freaks me out a little bit but oh my lord…. the FOOD. That fish and chips looks delicious, so does the poutine… so do the pastries. I gotta make my way out east just to feast! I want fish & chips now!! 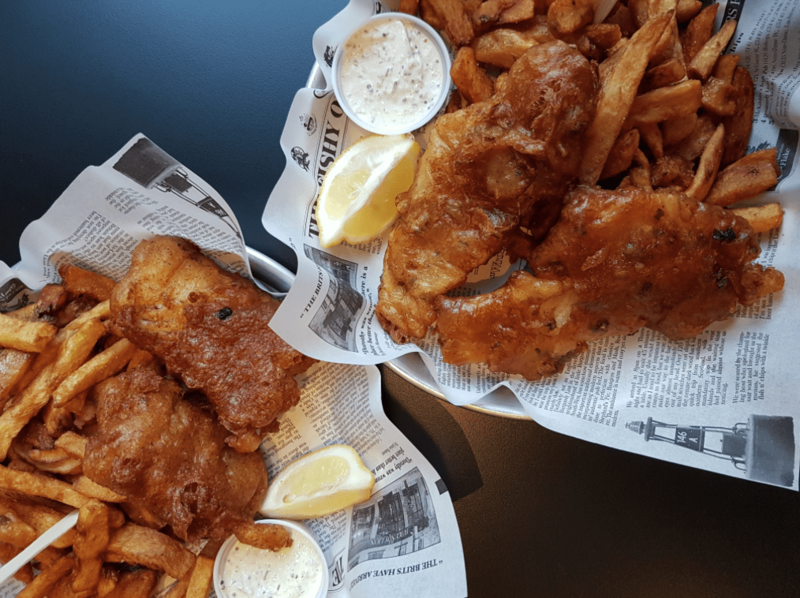 Everyone says British food is bad – they obviously haven’t tried fish & chips 🙂 I would have totally gone to that Barbie Expo too – flashbacks from childhood everywhere!! Great info and even better pics! I’ve been running across sooo many Canada posts lately… Maybe it’s time I make a trip up north? Especially given what happened yesterday 😛 Thanks for sharing! 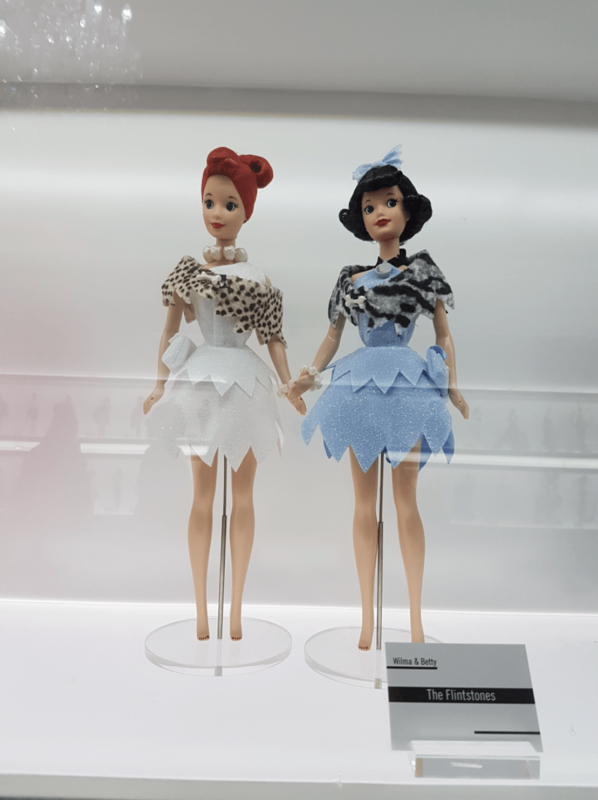 How fun does that Barbie exhibit look?! I saw something inspired by Barbie in the Pompidou in France years ago and loved it. Also that donut and poutine!!! I’m currently in Boston so I’ll have to head up to Montreal ASAP! I hope you didn’t eat all of the donuts, because they really look amazing. 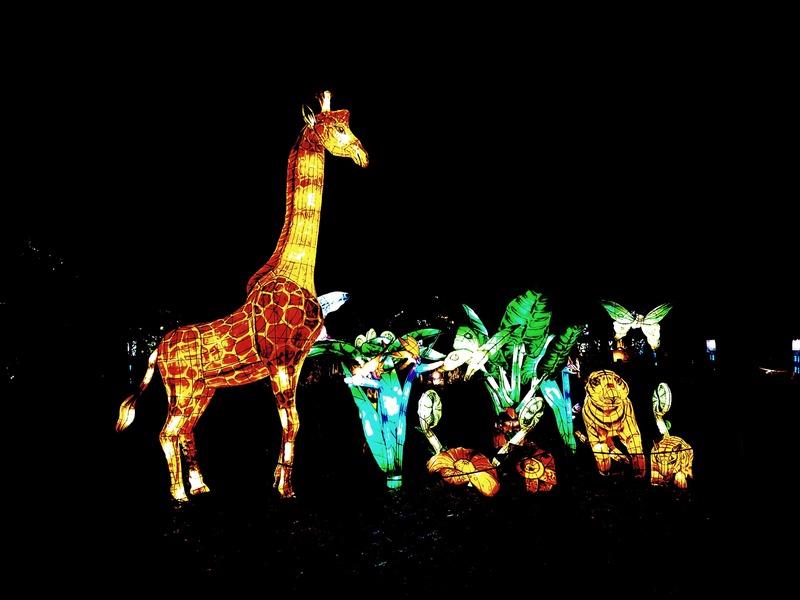 The botanical garden and light show also looks awesome. I’ve been toying with he idea of heading up to canada for a few days. I need to commit and finally make it happen. 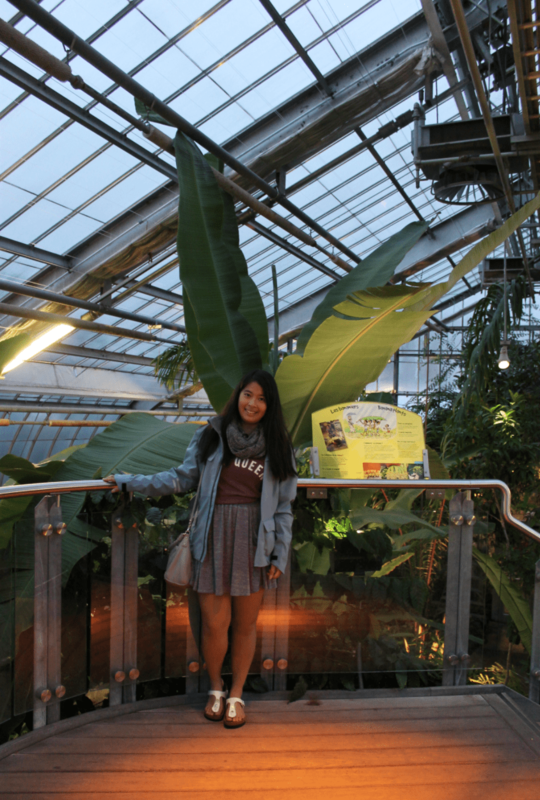 I’ve just been to Montreal and I”m bummed out I missed the lights in the Botanic Gardens. It looks like a fairyland. Your Airbnb looks pretty comfortable. Nice find. I enjoyed your comprehensive guide of Montreal. The spa part looks especially tempting. Your pictures are lovely and tell most of the story. Thanks for sharing! Looks like you’ve had an incredible experience! I’d love to go to Montreal (especially now after seeing all the food and those delicious donuts! ), I’ve only visited Toronto in Canada, and that was rather brief. Sounds like you managed to fit quite a lot in! 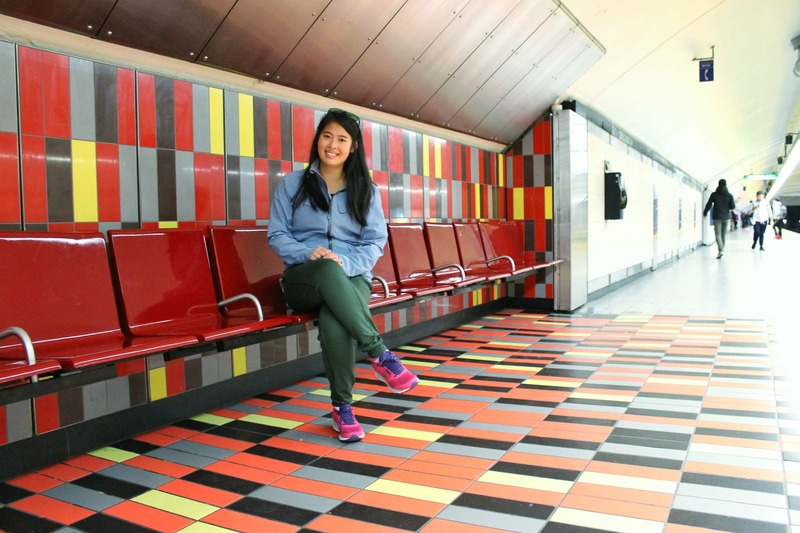 I would love to get to Montreal at some stage, hadn’t heard of the Underground City. Thanks for the tip on renting a bike – we usually rent a car to get around, but if it’s easy to walk or jump on a bike to get around, saves us money on the car rental! I’m not a party-goer so I get you girls! Montreal sounds delicious (all the food you had!) and such a chill place. The Underground City sounds like an interesting mall. Those donuts omg!! I have such a sweet tooth. I have heard that Montreal is a great foodie city and its a quick flight for me – I may just go during the holidays with my husband! Oh my gosh, I’m want to visit Montreal just for the lemon meringue doughnuts! I haven’t visited Montreal but I love the European feel of it from looking at pictures. Animals are so funny, that’s what happens when people start feeding wild animals, they get picky ? 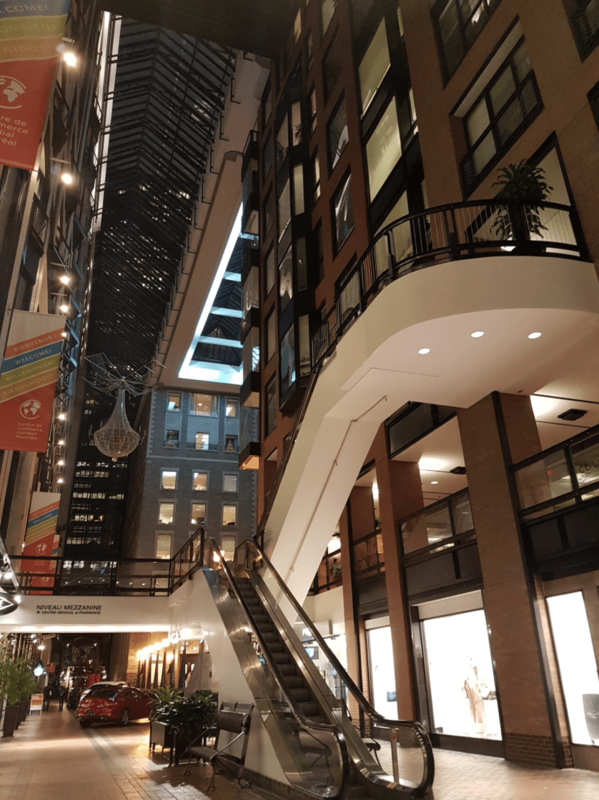 Montreal is really a beautiful city.i love those colourful lights and the modern architectures around. By the way, you look gorgeous in that Barbie box. Oh my my dear you saw and experienced so much in 4 days in Montreal. If I wasn’t on a media trip, I would be slow traveling as my usual lazy self haha. Old Montreal looks really pretty btw. I was there in February and loved the little beer brewer cafes. I never actually tried poutine but I did try a ton of their spas and they were awesome. 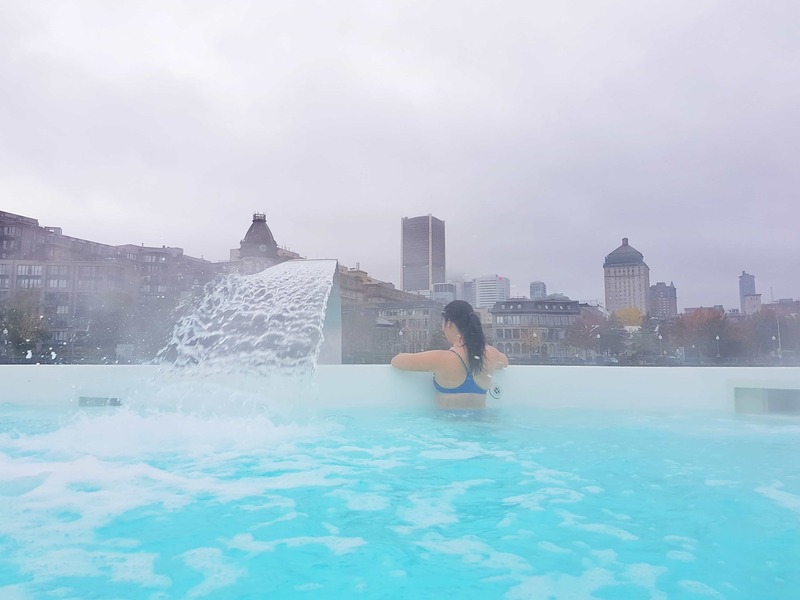 We have a spa boat in Tromso too and I’ll definitely try it out this winter 😉 Wouldn’t mind a trip to Montreal though either – seems like such an interesting city with so much to do! That photo Leche Desserts just made my stomach growl and my mouth drool! Holy cow, that looks incredible! I would be all about the lemon meringue. I went to Montreal a couple of years ago, but somehow missed, literally, every single one of these things. Bota Bota looks incredible though.Thanks for sharing tips for my next trip there! The barbie museum looks fantastic! I loved the Wilma and Betty! THe poutine looks amazing! I have been to Montreal and I really loved it. Planning to go to Montreal soon and am totally gonna keep this article of yours in my mind 😀 Montreal seems like a cute city of light! The donuts at Leche Desserts looks delicious and the Garden of Lights is amazing we had never seen something so extensive. Kids are definitely gonna love the Barbie expo and the Garden of lights. What I think about Montreal is French culture. Their way of living, cuisine, build and architecture. 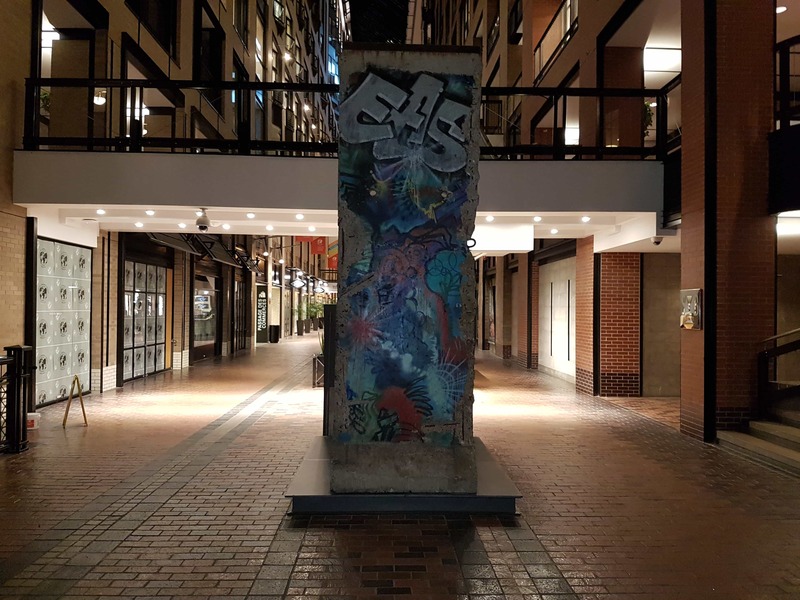 Your trips is not so long that you can see all aspects of Montreal. If you have more chance, please enjoy Montreal in other places and eating other foods. This beautiful city worth it. Never been to Montreal, but I can see the fun you have had. Being Barbie was the best! 🙂 btw never knew airports are closed too, I always thought they remain open for 24hrs! You did so much cool stuff! I think you deserved a lie in on your last day. The garden of lights is impressive and I’d love to have gone to the Barbie expo too. You ate such a variety of food while there another reason why I’d really like to visit Montreal. Oh, the spa looks perfect as well! Everyday I read something about Canada that makes me want to go visit. But, I must tell you that I wish I hadn’t seen all of our photos of donuts, bagels, and bacon…do I need to say that they are all of my favorite things?! All of which are impossible to come by while living in a fishing village in Ecuador!! Hmm. Well, at least I made my own Fish N Chips today. Happy Travels! This is a wonderful guide! I haven’t been to Montreal, but I’m hoping to in 2017. I’ve pinned it for later! All of that food looks amazing. I have always wanted to see Montreal. Bookmarking this for a future trip. It’s a nice guide for 4 days. I like spending more time in a place as it helps in immediate travel. I am sure you had a great time. That was a good read. Love your narration. Thanks for setting up a nice itinerary for people who are going to visit Montreal. The spa day looks like a blast! I’ve only been barely over the border to Nigagara on the lake but so need to change that! I would be like a happy kid and would not pass the chance to have a selfie with the Garden of Lights next to Pandas! 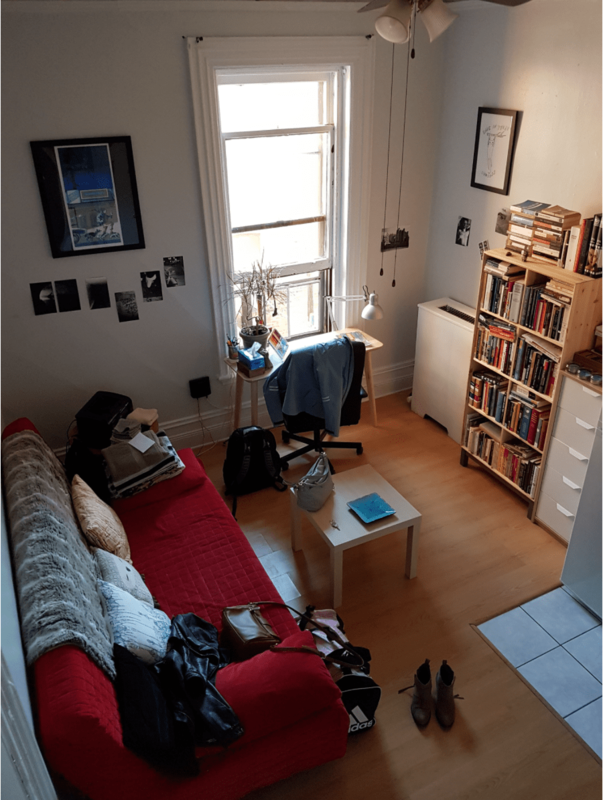 What an excellent and detailed post on Montreal. It has brought up the place by several notches in my to-do list! I love how you have shared all the details. Would be helpful during my vacations. I was getting worried there reading through that you missed out on Montreal Bagels but glad to see you made it…lol…however you did miss Montreal Smoked Meat WAY better than poutine. As a Canadian I love to see articles like this they make me miss home and remind me of the food I miss abroad. I love day 3 activity having a pamper day at the spa and looks good too in nees od some relaxation after wandering around. I loved Montreal when I visited, and I remember the food options being awesome. The lemon meringue looks amazingly delicious. And that Barbie expo sounds interesting. And the spa on a boat? HOW COOL!!!! The food looks so amazing ! Bacon is always a YES. The mini spa sounds like a great way to unwind. Such a fun way to spend four days. Looks so fun… I love the poutine! Wow, it’s really amazing. Your 4 days trip was really awesome. Botanical garden is really beautiful and chinese garden exhibition is really nice.